A handful of Democratic candidates for president have released at least 10 years of federal tax returns in an effort to promote transparency and create a contrast with President Donald Trump, who's refused to release his returns both as a candidate and as president. One of the most apparent takeaways from a candidates' tax documents is how much they're making each year. All the candidates reported making more than $200,000, filed jointly with their spouses, in adjusted gross income in 2018, putting them substantially above an average American's earnings, ranging from Harris, ($1.9 million) and Warren ($846,394), to Inslee ($202,912). Of the seven 2020 candidates to release returns, at least three are millionaires: Sanders, Warren and Harris. Sanders, famous for his campaign against the unjust power of the richest 1%, reported an adjusted gross income of $1.06 million in 2016 and $1.13 million in 2017. The bump in income those years was more than four times his income from a year earlier because of his bestselling 2016 book, "Our Revolution." The senator, who joked before the release of his returns that if someone else wrote a bestselling book they, too, could be a millionaire, later said he was "grateful" for the financial success and that it marked a sharp contrast to his upbringing in a paycheck-to-paycheck household. Warren, who's also made anti-corruption a key focus of her campaign, is also part of the 1%, the documents show. Her adjusted gross income in 2018, after filing jointly with her husband, exceeded $846,000. Between 2013 and 2015, her adjusted gross income was over $1 million and neared $1.55 million in 2014 after her first book was released. Harris reported the highest 2018 gross income at $1.89 million. Her husband, an attorney whom she married in 2014, earned most of their income. For 2018, Harris reported just over $157,000 in Senate salary and $320,125 in profits from the book she authored ahead of her campaign announcement. Gillibrand reported $214,083 in adjusted gross income for 2018 and Klobuchar reported $338,121. O'Rourke has yet to submit his 2018 returns, but reported $366,455 for 2017. Democratic 2020 U.S. presidential candidate and U.S. Senator Elizabeth Warren (D-MA) speaks to supporters in Memphis, March 17, 2019. How much are they giving to charity? The most generous candidate in 2018, according to candidates' tax returns, was Warren. She and her husband gave $50,128 to charity, almost 6% of her household adjusted gross income for the year. Next up was Inslee, who donated about 4% of his and his wife's income, or about $8,300. 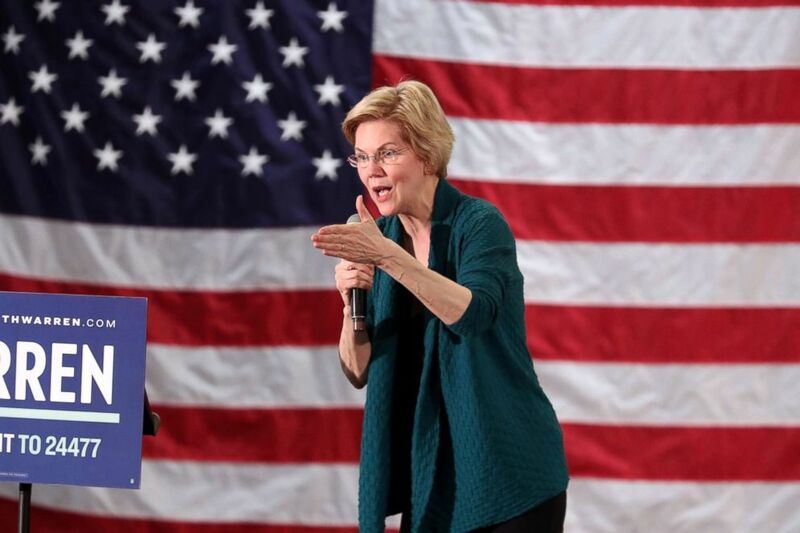 In comparison to other Americans with similar adjusted gross incomes, Warren donated about twice the average percentage -- which is about 2.7% for an income between $500,000 and $1 million, the latest IRS figures show. 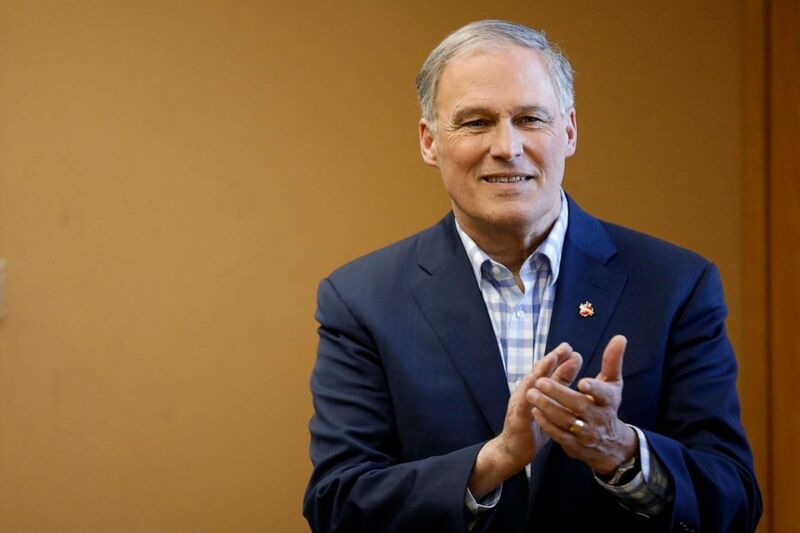 Inslee, who reported earning nearly $203,000 in 2018, donated about one and a half times more than the average percentage for someone of the same income. Sanders and his wife gave about 3.3% of their income to charity over the past two years. They gave $18,950 in 2018 and $36,300 in 2017. The couple also donated the proceeds of one of the senator's books, "The Speech," though the donations did not appear on their tax returns, according to the campaign. The donations have gone primarily to "senior centers, low-income organizations, educational entities and environmental and housing advocacy groups," the campaign said. Sanders donated about the same as the average for similar income, according to IRS figures. Klobuchar and Gillibrand donated about 2% of their adjusted gross income in 2018, coming to nearly $6,600 for Klobuchar and $3,750 for Gillibrand. Klobuchar and Gillibrand's donations also match up with the average percentage that people at those income levels donate, IRS figures show. O'Rourke appeared to give the smallest percentage of his family's income to charity in 2017 -- a total of $1,166, or 0.3%, which falls below the average percent donated by someone of his income level, while Harris and her husband donated $27,000, about 1.4% -- less than half of what the average is for similar adjusted gross incomes, according to IRS data. On average, those who earn between $1.5 million and $2 million donate around 3.4% of their income to charity, the latest IRS figures show. Roughly half of all charitable donations come from households with annual incomes of at least $100,000, IRS figures show, but the percentage doesn't usually skyrocket as wealth increases. For example, while the average donation for an income bracket between $500,000 and $1 million is 2%, the average donation for those who earn at least 10-20 times more money, $10 million a year or more, is around 10.4%. "The thing that's really shocking is, as incomes go up, people's propensity to give doesn't grow proportionally," said Len Burman, a co-founder of the Tax Policy Project. Burman tracked the donations by candidates in the 2012 election and found some, like former President Barack Obama and candidate Mitt Romney, gave around 14% of their income to charity, while candidates like Newt Gingrich gave around 2.6%. "If you're well off, you probably have an obligation to share with people who are needy," Burman said. Charitable donations can be tracked only after candidates release their returns, a tradition that has continued since former President Richard Nixon was in office -- but some point out that none of this information, which is often scrutinized, is required to be provided by law. "If the biggest complaint [voters] can have from all these returns is whether ... the candidate is charitable enough, then this is a victory for all these candidates," Tony Nitti, a CPA and partner at Rubin Brown LLP, told ABC News. "The fact that you have the transparency allows us to go through this exercise, so we know that there's nothing to worry about," Nitti said. 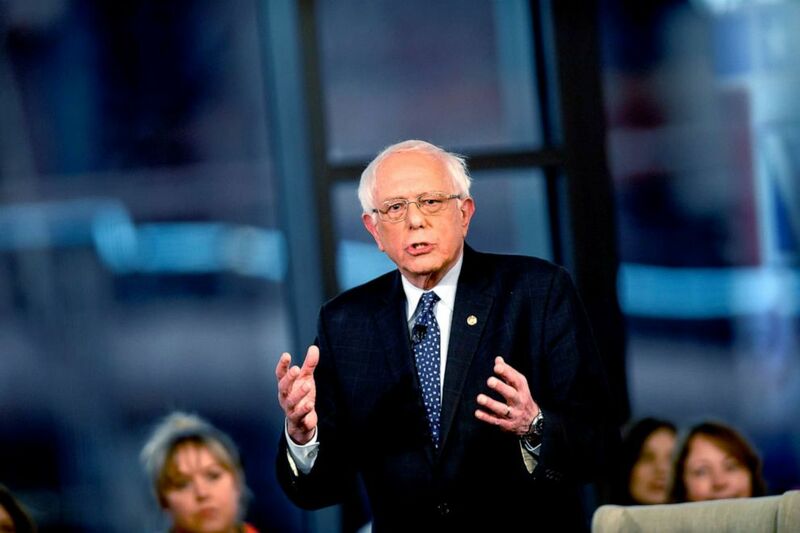 PHOTO:Democratic presidential candidate, Sen. Bernie Sanders (I-VT) participates in a FOX News Town Hall at SteelStacks, April 15, 2019, in Bethlehem, Penn. How much of their income is paid in taxes? The Democrats who released their returns all appear to be paying their fair share of taxes given their income, said Chris Edwards, director of tax policy studies at the right-leaning Cato Institute. "None of these folks are seemingly cheating or getting away with anything," he told ABC News after reviewing the returns made public by the campaigns. Harris and her husband, earning about $1.9 million, paid at an effective tax rate of 37%, the highest among candidates who've disclosed returns. Gillibrand, who reported earning $214,083, had an effective tax rate of 14%, according to her returns. Sanders, who released 10 years of returns Monday, had an effective federal tax rate of 26% in 2018, paying $145,840 in federal taxes on adjusted gross income of $561,293. Warren, with an adjusted gross income of $846,394 in 2018, paid 27%. With an adjusted gross income of $366,455 in 2017, O'Rourke had an effective tax rate of 22%. Klobuchar, who had a 2018 adjusted gross income of $338,121, and Inslee, who had a 2018 adjusted gross income of $202,912, round out the list with some of the lowest tax rates of 19% and 15%, respectively. "There are often complaints that rich people are able to take lots of loopholes," Edwards said, referencing billionaire Warren Buffett's often-cited comments that he pays a lower tax rate than his secretary. "None of these candidates seem to be as lucky as Warren Buffett. They are paying tax rates as high as people with similar incomes." While little is known about the president's returns, The New York Times reported last year that the president and his siblings allegedly used fake corporations to hide money received from their parents to avoid paying tens of millions of dollars in taxes. The White House called The Times report a "misleading attack against the Trump family" and claimed the IRS signed off on the transactions detailed in the report. 2020 Democratic presidential candidate Washington Gov. Jay Inslee waits to speak at a round table discussion about climate change, March 5, 2019, at Iowa State University in Ames, Iowa. While five candidates have released years of tax returns, most among the nearly 20 Democrats seeking the White House in 2020 have yet to do so. The president has refused to release his, and the White House vows he likely won't. Former Florida Gov. Jeb Bush set the record for tax information released by a presidential candidate in 2016 by disclosing 33 years of returns. The early disclosures, more than a year away from the election, are significant and represent a "shift" in the Democratic Party, Joe Thorndike, director of the Tax History Project, told ABC News. "It doesn't take a rocket scientist to figure out why," he said.